Ken Silver’s Silver Lotto System is a shady useless lottery system full of lies and false advertising. Here is the real honest review of the Silver Lotto System by Ken Silver. Silver Lotto is the system completely made up bogus system by Ken Silver, an Australian marketer/publisher who says he figured out a way to win the lottery and is a big lottery winner himself, as he won 2.7 millions playing the lottery. OK, so where is proof of his winning tickets? Ken Silver shows you a few photos of winning lottery tickets that you cannot make out how much they won, how convenient! Ken Silver was also caught using FAKE Testimonials on his sales page and has tons of complaints from ripping people off by not giving them a guaranteed refund after they tried his useless Silver Lotto System. The Silver Lotto System is just an simple e-Book and is built on 3 made up lottery products by Ken Silver, the Silver Lotto System, The Lotto-80 system and four specially designed Custom Profiles. First he gets you to buy the Silver Lotto System then tells you to buy the custom profiles, which are just lotto numbers Ken Silver sends you to play. Ken just gets all the information right off the Internet for free! Then he sells it to YOU! Each silly product is supposed to work in conjunction with the other product to boost winning odds to a ridiculously claimed 99%, with the 1% remaining down to plain luck. On the sales page or Ken Silver’s website there are reported wins of up to $100,000 using his product, all by the are totally false! The same goes for all his testimonials, they are just written up by himself! Ken Silver is now reported by most lottery system review sites as a big Con Artist. Ken Silver claims that each part of his lottery products when combined together, keeps pushing up your win rates by removing most of the poor lotto number bad combinations. So again, where are all the WINNERS! This again is totally false, there are NO real winners from using his useless made up system and many have reported this time and time again. His lottery systems have been tested many times over, all with very, very poor results, there are No Real Lottery Winners! Ken Silver claims he has found the perfect way to identify winning lotto patterns, which again is just lies to make himself sound like an expert, but in reality he is a joke!. What Ken Silver has really found is a sneaky way of getting more money from you, as fast as possible! Seriously! If there were so many winners using his systems as he claims, we would see tons of real reviews, not the fake reviews being posted all over the Internet written by Ken Silver himself and his affiliates selling his useless Silver Lotto System. Just to clarify, Ken Silver’s Lotto-80 System is a membership site which he says identifies another pattern of winning, but again there are simply No Winners and all of what Ken Silver is giving you is free online. Ken Silver’s Lotto-80 System simply tells you when to avoid a game and Ken Silver does this with red, orange and green squares kinda like traffic lights. We have read many real user reviews sent to us about this silly Lotto 80 system, what a shady seller this ken Silver is and get this! Almost every single person who tries to get a refund from him is refused! Once Ken Silver shady seller has your money, you will NEVER SEE IT AGAIN! Ken Silver says his Silver Lotto System and other systems are a result of his many years of study and research playing the lottery, again this is totally false! If you are stupid enough to fall for this shady sellers made up, totally useless lottery system that far to many angry people are saying stay away from, then you’ll find out the hard way, how it feels like to be scammed by Ken Silver. Now for some real proof that Ken Silver’s lottery systems such as the Silver Lotto System, Lotto 80 System are totally useless and that Ken Silver has ripped off many people, you can re-search yourself or just checkout a few of these articles and websites verifying Ken Silver is nothing more than a con artist. Some of these go back even when he was claiming he was a publisher and ripping people off. His Silver Lotto System used to be called Honest Lotto System, what a JOKE!. As you have just read, there are many warnings about this Ken Silver and his highly false advertised lottery systems that are simply lies to trick you! If you one of the unlucky people who have been taken by this con man, please contact the FTC and let them know. Also you can put a support ticket at Clickbank and let hem know you have been ripped off and they will eventually totally ban Ken Silver’s systems and or possible charge him with fraud! If you want real verified winning lottery system that users have reported as a highly recommended system, you might want to checkout the Lotto Guy Lottery System or Smart Play Lotto Wheels. Both system are verified real winning systems. Both systems have No affiliates selling them and the Lotto Guy System just won best winning lottery system, see actual poll results below. 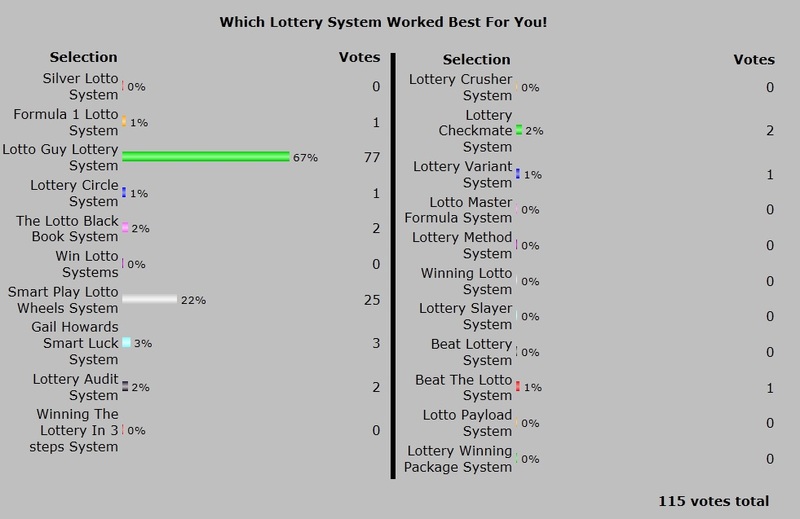 Notice where Ken Silver’s Silver Lotto System ranked, he got 0% votes, even more proof his system is not worth using! This entry was posted in Lottery and tagged ken silver lotto, ken silver lotto system, ken silver silver lotto system, silver lotto, silver lotto review, silver lotto system, silver lotto system review, the silver lotto system by admin. Bookmark the permalink. Ken Silver has one of the worst lotto systems (Silver Lotto System) I have ever used. You are right on the money when you say he is a con artist. Silver lotto system, been there done that! The system is a crock! I have used much better free systems than this stupid silver lotto e-book crap. Lotto Black Book Review Truth Exposed! Win Lotto Systems Review The Truth! Lottery Winners Use Lotto Guy System To Win Big! 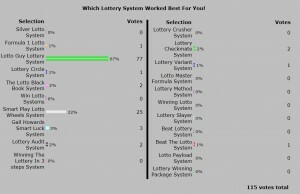 Lottery Circle Software System Good or Bad? Winning Lottery System Reviews The Truth! Lottery Systems That Win Lottery Games!